The Raymond A. Kent School of Social Work has its roots in Louisville, Kentucky, beginning with social welfare activity in the early 1900s. In December 1918, the Welfare League of Louisville began offering courses in social services, in conjunction with the Louisville Free Public Library, the Louisville Conference of Social Workers and other interested groups. Students who successfully completed four semesters of social work courses and fieldwork each received a Certificate of Social Services through the auspices of the University of Louisville's Graduate School of Arts and Sciences. From 1923 to 1926, the Louisville School of Social Work offered coursework and field work at the baccalaureate level, and these courses were incorporated within the University's Sociology Department of the College of Arts and Sciences. In 1930, Professor Margaret K. Strong joined the Sociology faculty, and chaired from 1931 to 1936, and in 1936 became the first chair of the newly established Graduate Division of Administration. From 1930 until 1936, Dr. Strong, University of Louisville President Raymond A. Kent and many members of the professional social workers in the community worked to secure accreditation, which came in May 1937 from the American Association of Schools of Social Work. Since the fall of 1936, the University of Louisville continuously has offered graduate level courses in social work education. 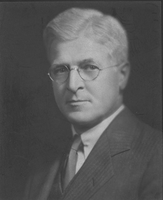 Following University President Kent's death in 1943, the school was renamed the Raymond A. Kent School of Social Work to honor his efforts in the development of the school. From 1936 until 1983, the Kent school was an autonomous school within the University, reporting directly to the University Provost. In 1983, the School became a component of the newly formed College of Urban and Public Affairs (CUPA). With a reorganization in 1991-1992, the Kent School was configured into the College of Health and Social Services. A Marriage and Family Therapy, now Couple and Family Therapy, certification program was added in 1994, and in 1997, the Kent School of Social Work once again became an autonomous school reporting to the Provost. In 1997, the school began its doctoral program and in 2007, the BSW Program was inaugurated. For almost 80 years, the Kent School of Social Work has undergone many transformations, but during that time it has always maintained a close working relationship with the practice community and the region's human service needs. Excellent ties with the Cabinet for Families and Children, Juvenile Justice, Family Courts, Seven Counties Mental Health System and many other community and state agencies continue to provide the Kent School with many avenues of reciprocity. In these relationships, field placements provide rich opportunities for student learning; contracts enable faculty to engage active scholarship while providing service to the region and state; and graduates go on to these agencies after finishing their education to become the workers and future field supervisors for the next students.